The silva clinomaster [cm-360la] sight master is a hand-held instrument for measuring vertical angles. clinoMaster is available in two versions featuring different sighting systems: lensatic and prismatic. the clinomaster lensatic [cm-360la] is the traditional clinometer model featuring an aluminium protected sighting system for withstanding the toughest conditions. clinomaster prismatic combines the traditional clinomaster features with a superbly clear and light-strong prismatic sighting system. thanks to the construction it is extremely easy to obtain accurate readings even in dark conditions. max +-0.25° from true angle with precision sighting. la - models 75x53x16 mm. 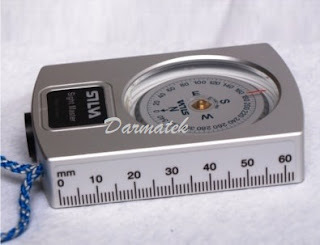 weight:110 g.
pa - models 75x53x16 mm. weight:120 g.
models with battery or Tritium illumination can be produced upon request.